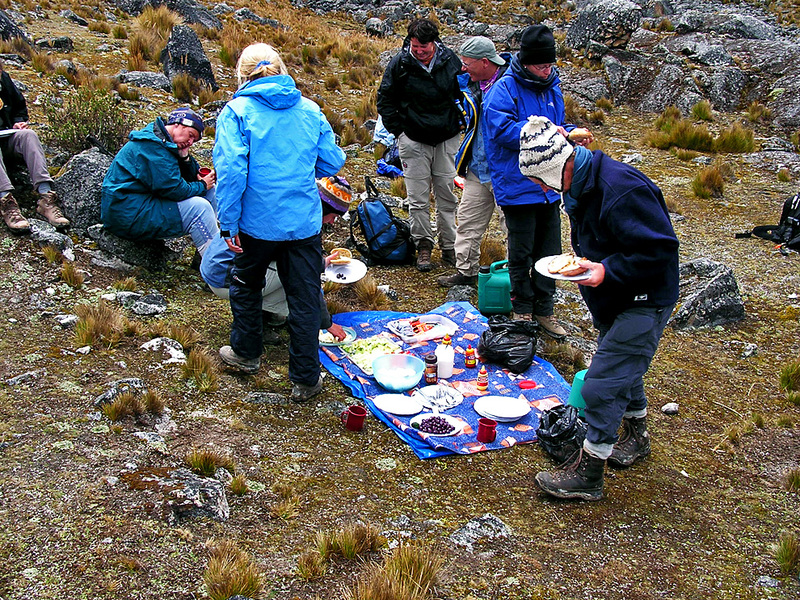 "A classic mountain walk past the finest blue lakes in the region; through its people, wildlife and glaciated mountains experience a pure Andean magic"
Stretching from the northern foothills below the Illampu and Ancohuma glaciers, the Cordillera Real is a host of spectacular high peaks that include the soaring Illampu and Ancohuma summits. 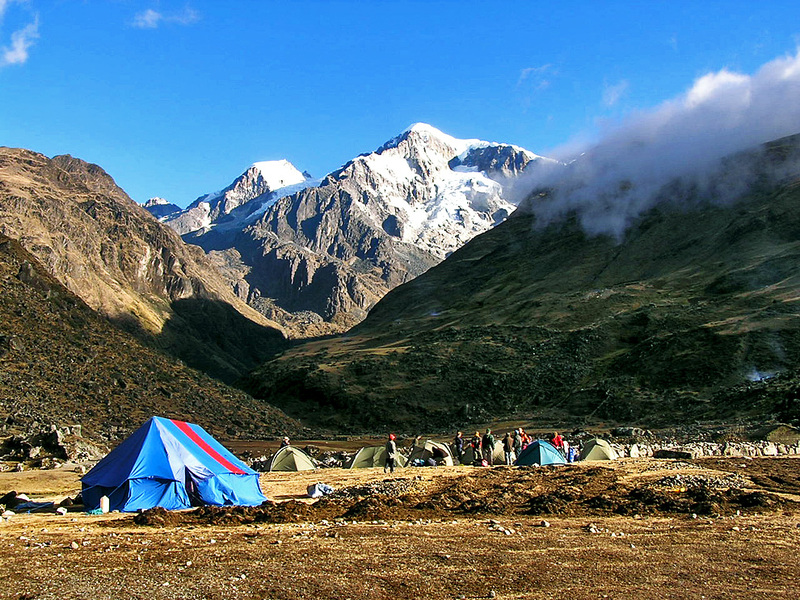 Before setting off on the trek, you will enjoy the temperate climate of the valleys around Sorata beneath the imposing glaciers of the Illampu massif. Consecutively, the Azimut Explorer staff and you will trek along a genuinely classic route, keeping to high trails and crossing a 5000m (16400 ft) pass. 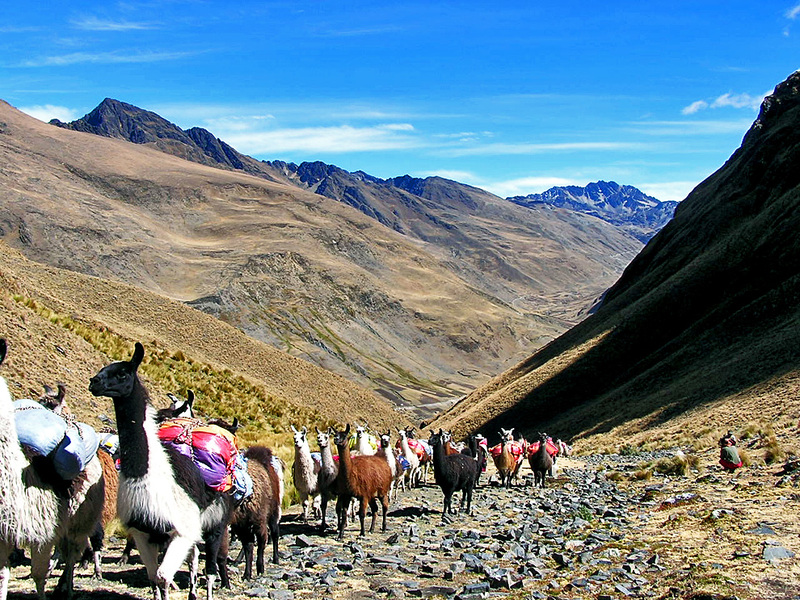 Our route includes a great diversity of scenery with lovely alpine valleys, picturesque lakes, snow-covered peaks and scattered Aymara Indian villages. DAY 1: TO SORATA. Car transfer. Hotel. Visit San Pedro caves. DAY 2: TO ANCOMA. Car transfer. Training trek. Camp. DAY 3: TO COCUYO. Trek and camp. DAY 4: TO CHAJOLPAYA. Trek and camp. 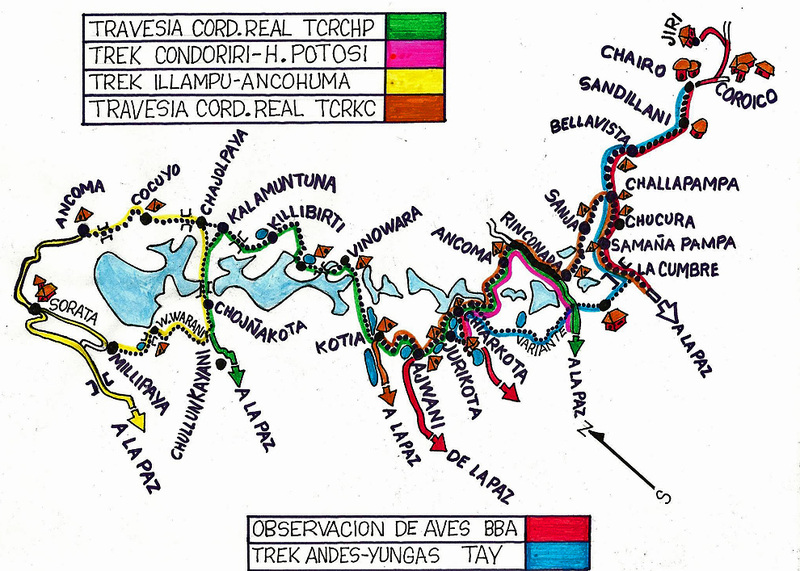 DAY 5: TO VENADO KOTA. Trek and camp. DAY 6: TO CHULLUNCAYANI. Trek and camp. DAY 7: TO WARA WARANI. Trek and camp. 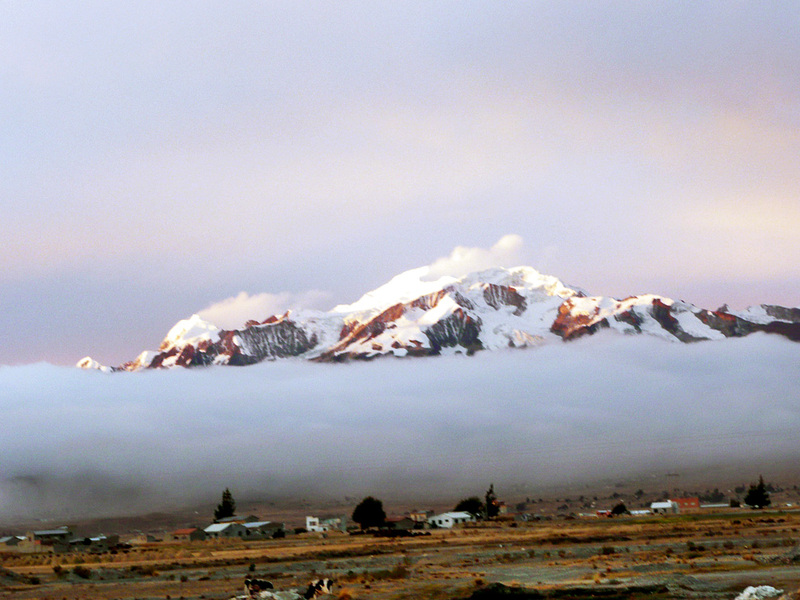 DAY 8: TO MILLIPAYA & RETURN TO LA PAZ. Trek. 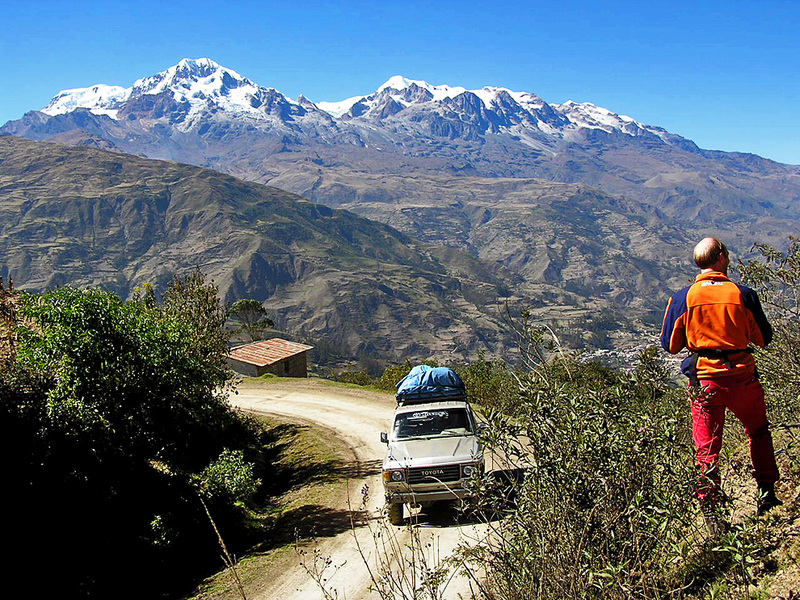 Car transfer to La Paz. BRING: anorak, sleeping bag, warm gloves, fleece jacket, down jacket, thermal underwear, sun glasses, headtorch, sun block, sun hat.